HomeArtZootopia RPG Concept (by Wolfie Canem) – O. M. Goodness this needs to be a real thing! 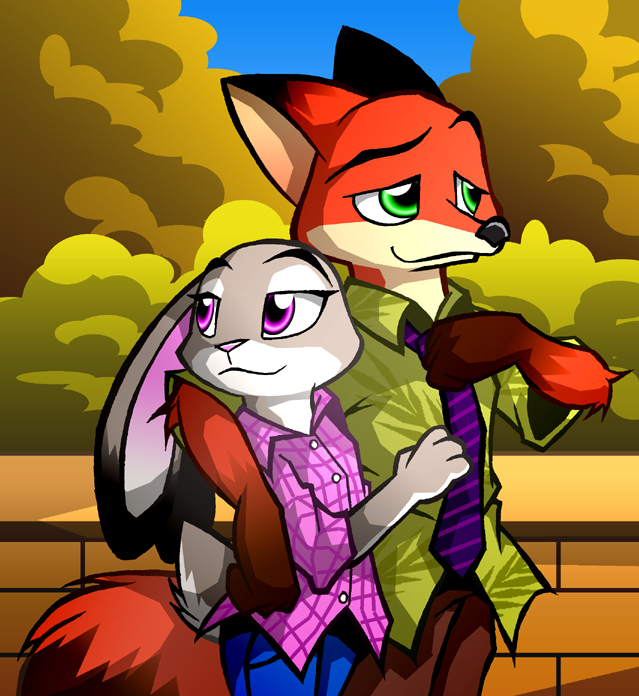 The first time I saw Zootopia, one of the most awe-inspiring scenes was Judy’s first train ride into the city, passing through Sahara Square, TundraTown, The Rainforest District, and then, finally, City Center. The city was so alive, so large and expansive. It felt like you could pick a direction and start walking, and even if you went nowhere related to the plot of the movie, you could still find adventure. Or, at the very least, an interesting part of town. Many people across the internet have compared the world-building of Zootopia to that of an open-world RPG, like Skyrim, Fallout, or Mass Effect. But yet, as far as we know, the only Zootopia video game that is coming out is an expansion to Disney Infinity. I believe if you look in the dictionary, you’ll find this case in the definition of “Wasted Opportunity”. Well, Wolfie Canem, an amzing pixel artist, has an idea for just such a game. Not only does it look like a TON of fun, but the amount of detail he’s put into this pitch idea is just stunning! Check it out HERE, and be sure to spread the idea around if you want to see it maybe happen one day! And even if you’re not a big fan of video games, you’ll still love the amazing art and detail he’s put into this game’s design. Step it up, Disney! If you don’t make this, the fans will! I indeed made a game out of this awesome idea. Though not as a PC or console game but as a pen and paper game. I made a small working rule book and my group is really enjoying the game. I'm just searching for a publisher and eventually I will someday bring it out big. Email ZNN more details, I'd be interested to see this. I'm actually translating it into English, because at this moment I just have it completely in German. And as I'm working on it, it gets bigger and bigger, so the translation is a bit behind. You do realize ZNN has a whole translation team, right? And several of our staff members speak and read german very fluently. Yep. Just sent it in a few hours ago. Hadn't had the time to translate though (work work). I hope you enjoy it like my group does. I'd be really interested in a pen and paper version. I had the same idea! Just thinking of home games, though. Dear ZNN i got an idea for a pc fan made zootopia simulator. Welcome to Zootopia is a life simulator where the player can pick there species and district to live and job to do.